The Arado Ar 196 was the main embarked recognisance seaplane used by the Kriegsmarine during Second World War. Single engine with low wing monoplane had in the cockpit a two crew members seated in tandem: pilot and observatory – gunner. For its period, the Arado Ar 196 was an advanced modern aircraft. The radial 9 cylinders BMW 132 engine was capable to arrogate 960 HP. The airframe structure of the Arado was optimized for the embarked purposes on main Germans vessels and cruisers. It can be catapulted directly from the vessel and with its fuselage-wing hinges backwards folding wings system, it can be better stowed on board. 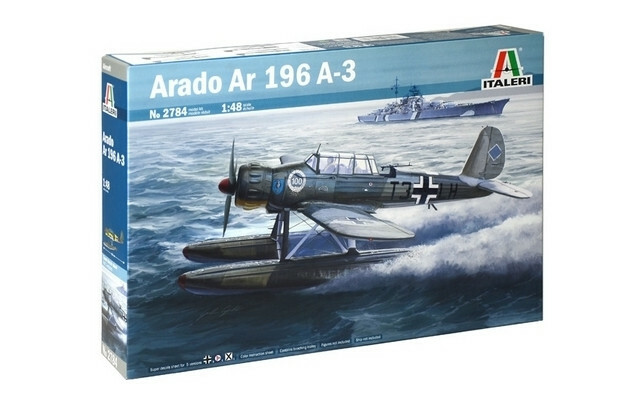 The fame for the Arado Ar 196 if for being an embarked recognisance (the battle cruisers Scharnhost and Gneisenau had three of them on board while the more famous ship of the Kriegsmarine, the Bismark, had four Arado Ar 196) was used also in the role of cost shore reconnaissance.